DISCLAIMER: I was sent an electronic review copy by the author in exchange for an honest and truthful review. 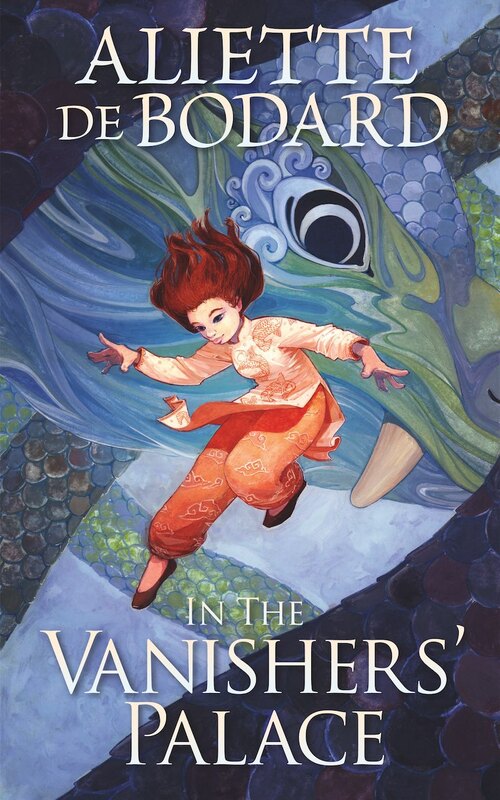 A dark, rich f/f retelling of the age old fairy tale, Beauty and the Beast, In the Vanishers' Palace packs a punch in her thoughtful story of post-colonialism, love, and parenthood in both biological and adoptive families. And I thoroughly enjoyed this novella. My biggest fear (which shouldn't have been a fear because I trust Aliette as an author) was that the romantic would find itself entering into Stockholm Syndrome and unequal footing. However, within the relationship between Yên and Vu Côn, Bodard addresses this and uses the art of flirting with fruit to make the butterflies flutter until they are on equal footing. Can I have more characters flirting with fruit, please? The post-colonial setting was an interesting choice, but a good one. It lay down the foundation of building a narrative of healing and relearning thought patterns. 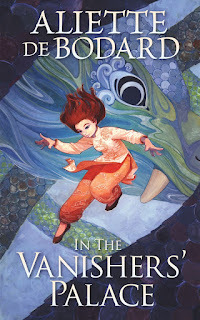 Bodard throws you straight into the story and it's up to the reader to feel around the world building, so if you don't like stories like that, then this might not be for you. I freaking love it, however, I feel like I could've spent longer in this world. There's so much more that this world could give us - and I hope Bodard revisits this world.